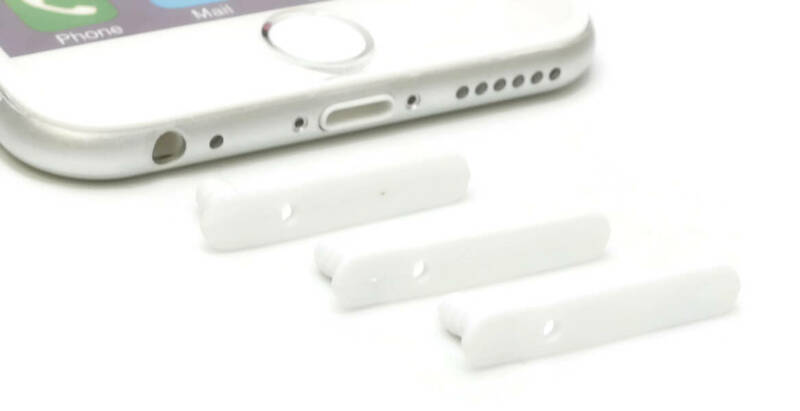 Set of 5 plugs; available in Black, White and Clear. 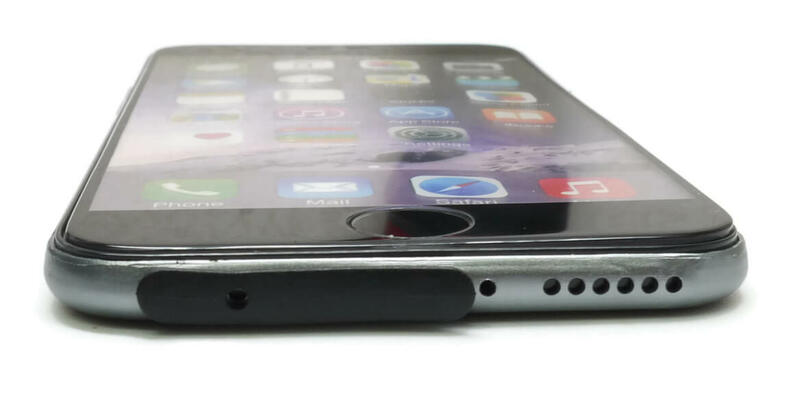 Don’t leave your iPhone open to damage from pocket lint, dirt, sand, or dust. 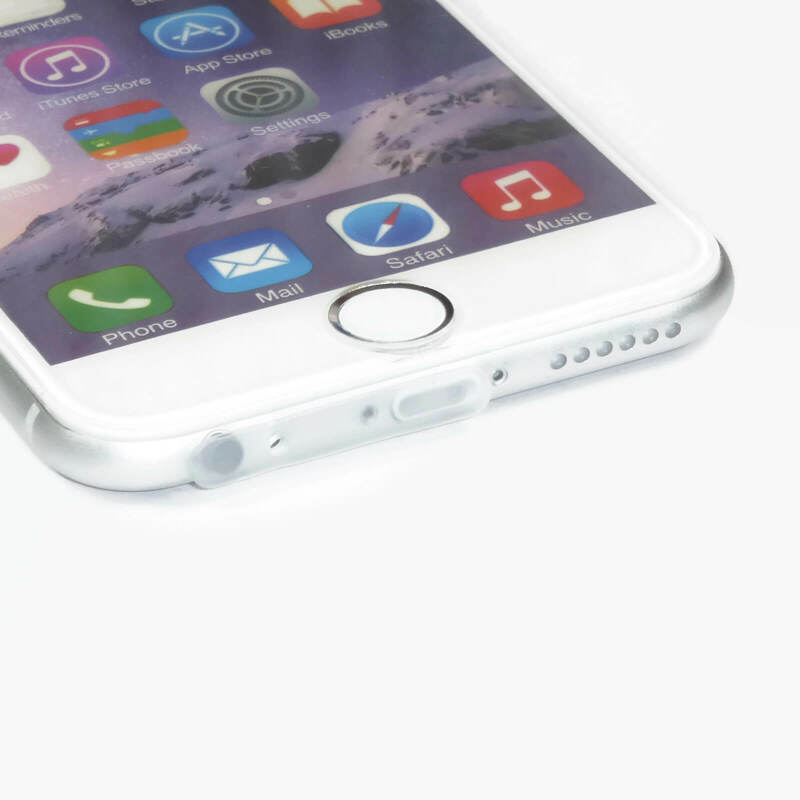 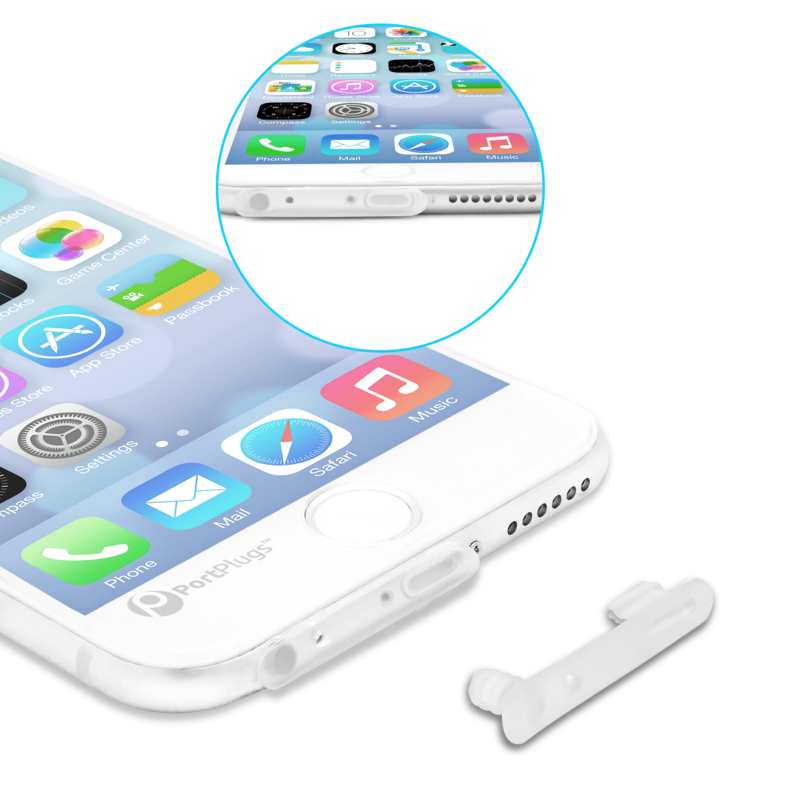 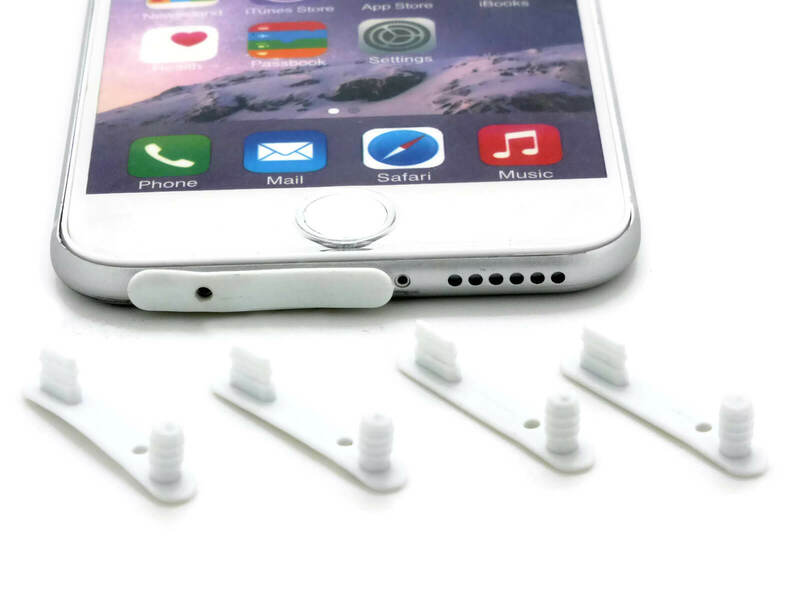 Safeguard exposed ports with an iPhone 6 dust plug set. 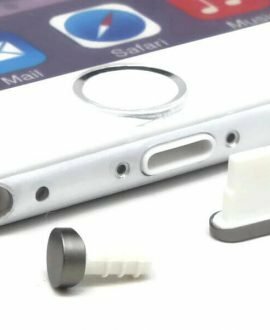 This can result in poor connection, loss of functionality, and costly repairs. 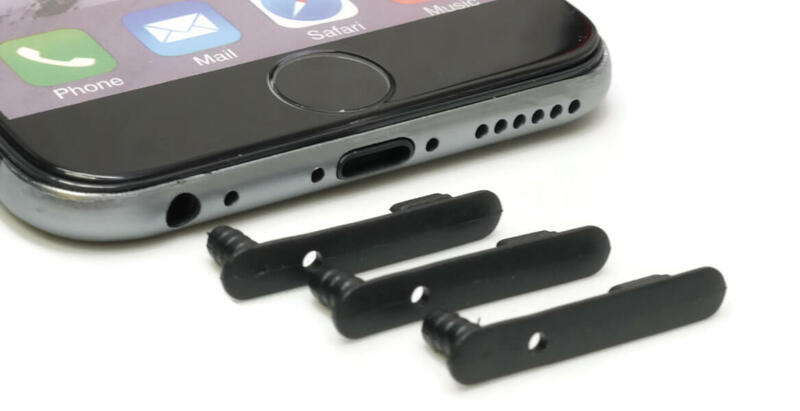 This unique iPhone 6 dust plug set was designed exclusively for the body style of the iPhone 6 (4,7 inch). 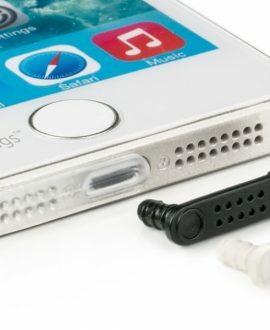 Using an anti-dust plug is the only way to fully protect your iPhone headphone jack ports and lightning ports. 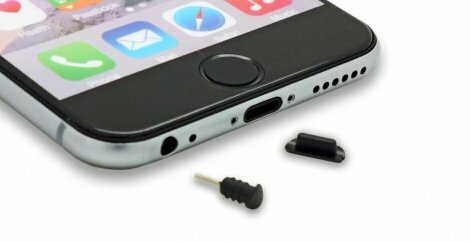 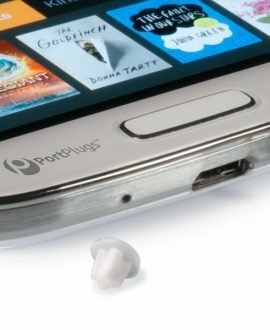 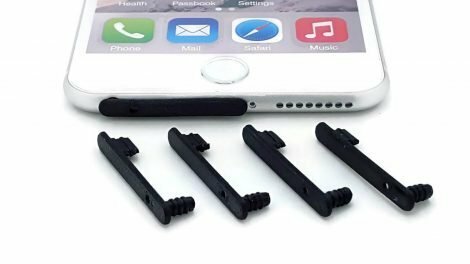 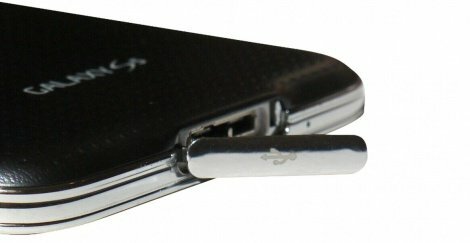 Unique 2-in-1 design of this iPhone 6 Dust Plug seals the 3.5 mm earphone jack and lightning port simultaneously, while offering easy access to the unused port. 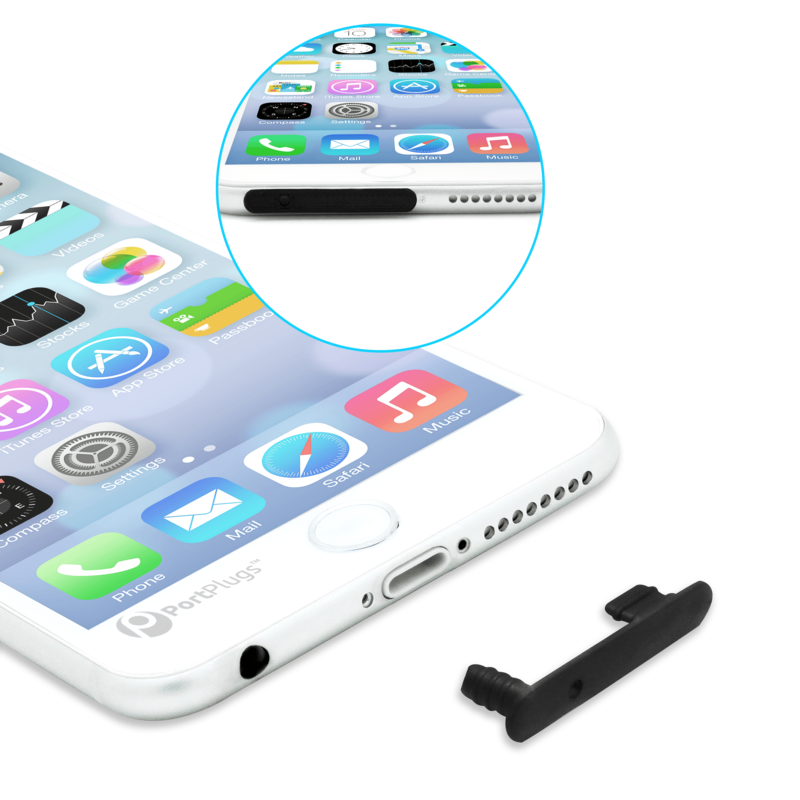 Blends seamlessly with the design of the phone. 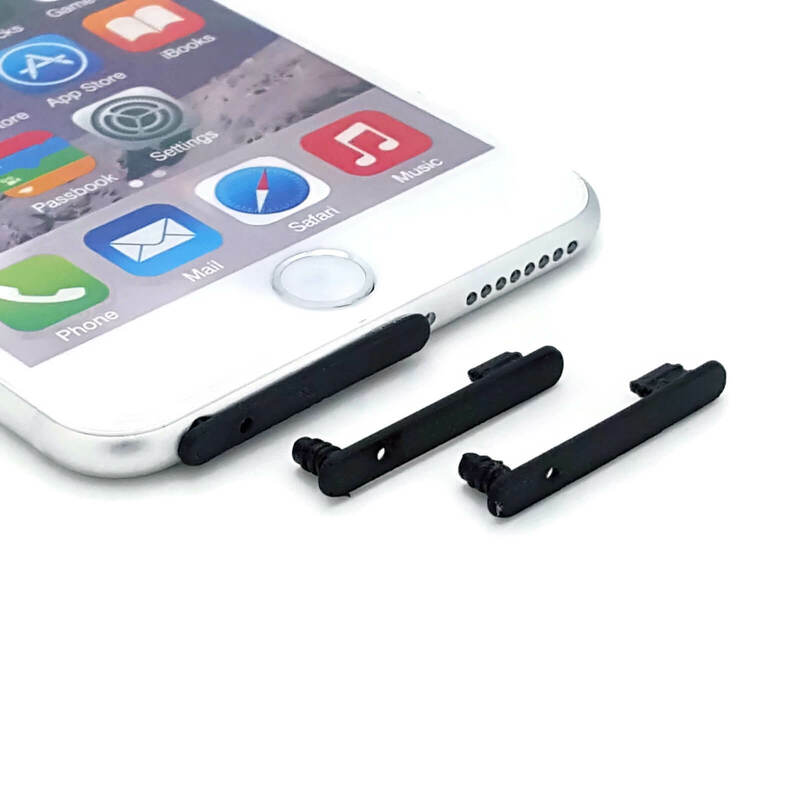 Set of 3 UniPlugs; available in Black, White and Clear. 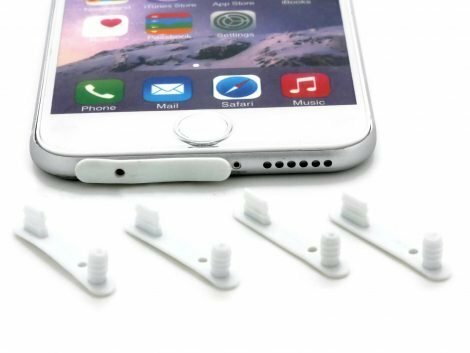 These Port Plugs are made of hardened silicon and are compatible with all newer Apple lightning ports. 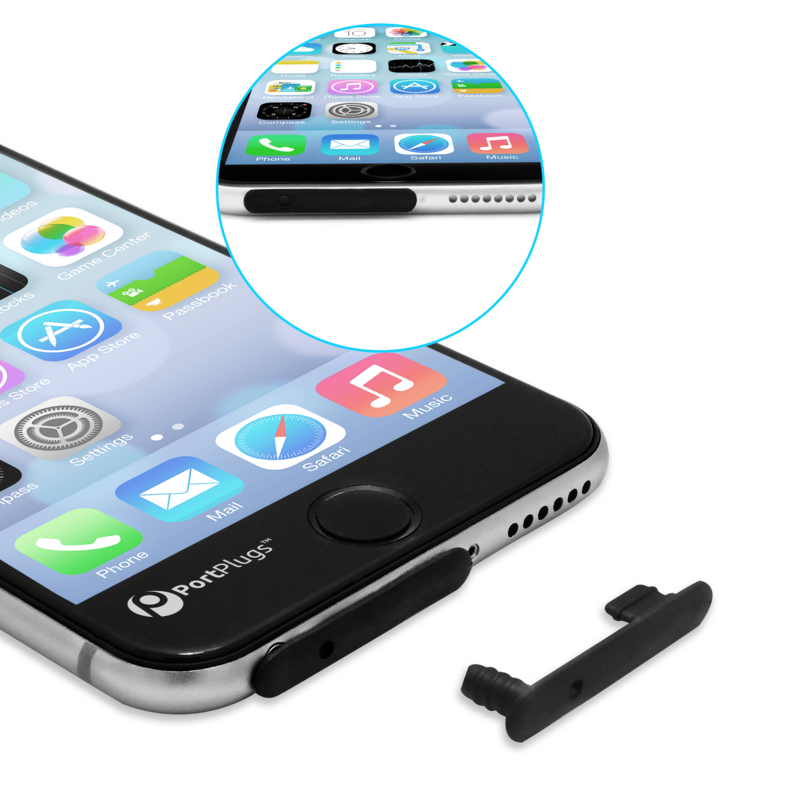 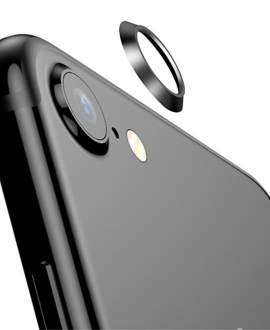 They were specifically designed for the iPhone 6 curved body style and have a secure fit. 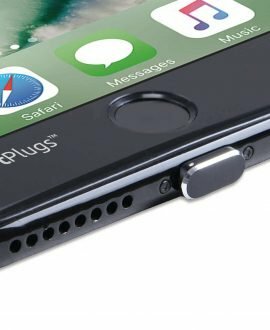 Easily and safely secures the lightning ports and headphone jack ports of your iPhone 6 or 6 PLUS simultaneously, while blending seamlessly, and allowing access to the unused port.